StandUp For Kids (SUFK) is a national, all-volunteer organization with active programs in 30 U.S. cities. We help youth who are on their own, having run away from or been kicked out of an unsafe (usually abusive) home. They are trying to restart their lives. 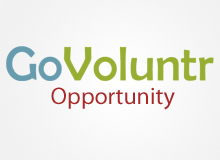 The Silicon Valley chapter is looking for enthusiastic and responsible STREET OUTREACH volunteers to join our street outreach team and participate in our neighborhood walks, meeting new kids and handing out goodie bags. Regular contact with street kids will gain their trust and show that we care about them. We provide granola bars, socks, water, and hygiene products and recommend they visit the StandUP For Kids Welcome Center in downtown San Jose. If you have 3-4 hours per week and would like to help us, please email [email protected] Training will be provided!